With tremendous success of genomic research in discovering genetic variations determining human diseases, it is now time to re-evaluate how the environment affects disease risk by taking into consideration these genetic findings. This book addresses a rapidly growing interest in assessing the relations between environmental risk factors (such as diet, lifestyle) and human diseases, by considering the potential roles of genomic make-up. The book brings together a selection of chapters written by specialists with a variety of backgrounds such as epidemiology, nutrition, genetics, epigenetics, microbiome, biostatistics and bioinformatics. These authors are united in their concerns on the same scientific question – how do genomic events modify the effects of traditional, environmental risk factors on disease risk? 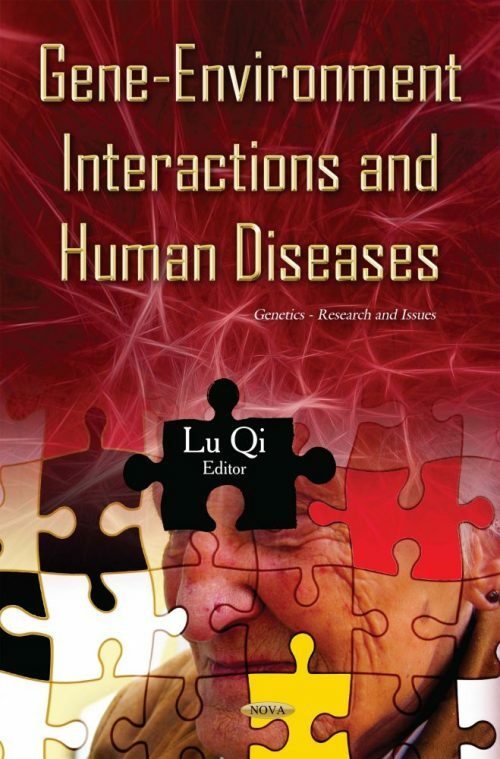 This book offers an expert overview of the advances in the field of gene-environment interactions on human diseases and the cutting-edge methods used to detect the interactions. The majority of the chapters provide detailed up-to-date descriptions of the major findings of gene-environment interactions on various chronic diseases and risk factors such as obesity, lipids, diabetes, cardiovascular disease, cancer, multiple sclerosis, pancreatitis, Parkinson’s disease, and longevity. The book also covers the potential influence of epigenetic events and microbiome on the relation between environment and diseases. In addition, the book also captures the potential application of the findings from this field in personalized prevention and treatment of human diseases. Are Humans Getting Fitter, Sicker, Neither, or Both?